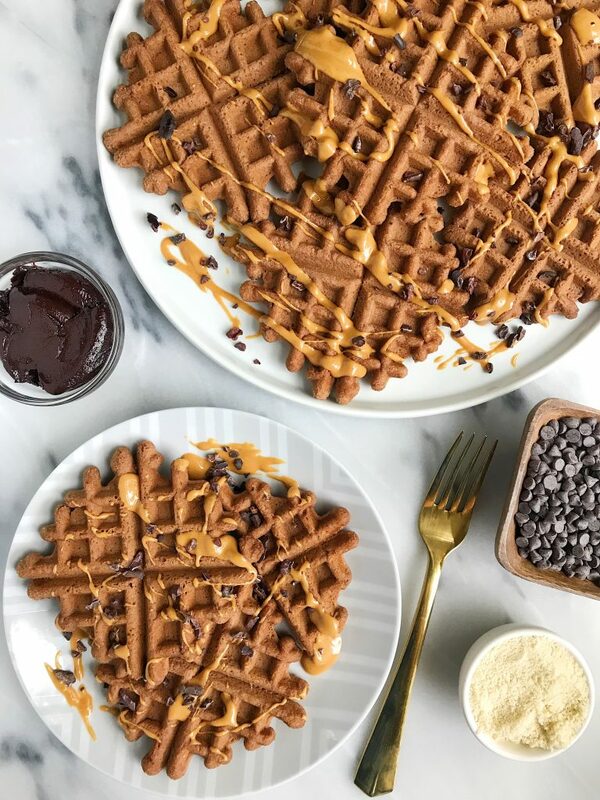 Easy Paleo Cacao Almond Flour Waffles for a delicious chocolate-y breakfast! 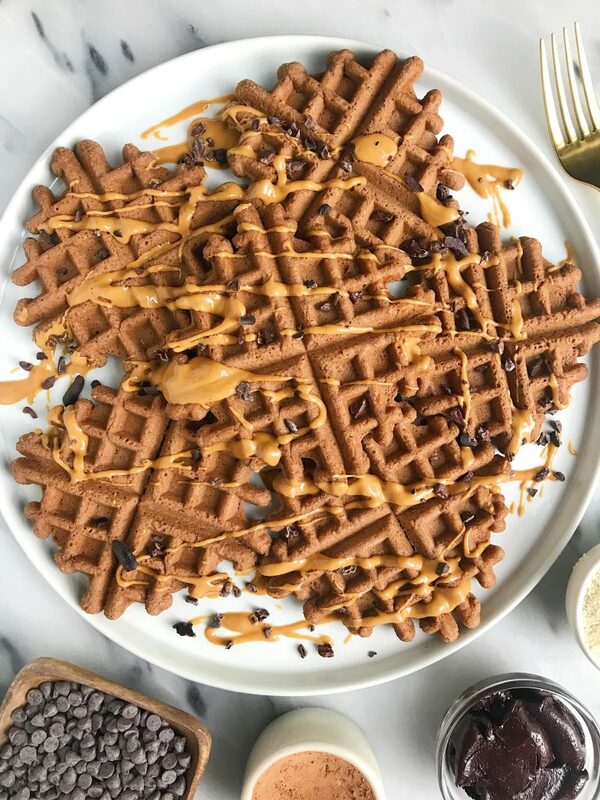 Paleo Cacao Almond Flour Waffles made with just seven ingredients. Really just four ingredients if you don’t count the spices and baking powder. These waffles have quickly become a go-to over here for breakfast. 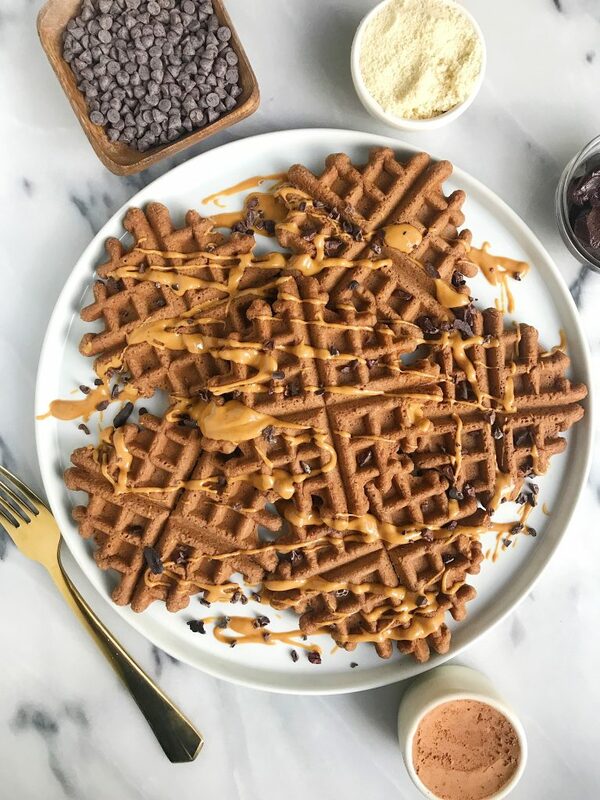 I love that they are made with almond flour too because it is super satisfying and filling (hello healthy fats + protein), something traditional waffle are not. These remind me of eating a chocolate muffin or something sweet for dessert and they don’t require a lot of steps or anything crazy to whip up. 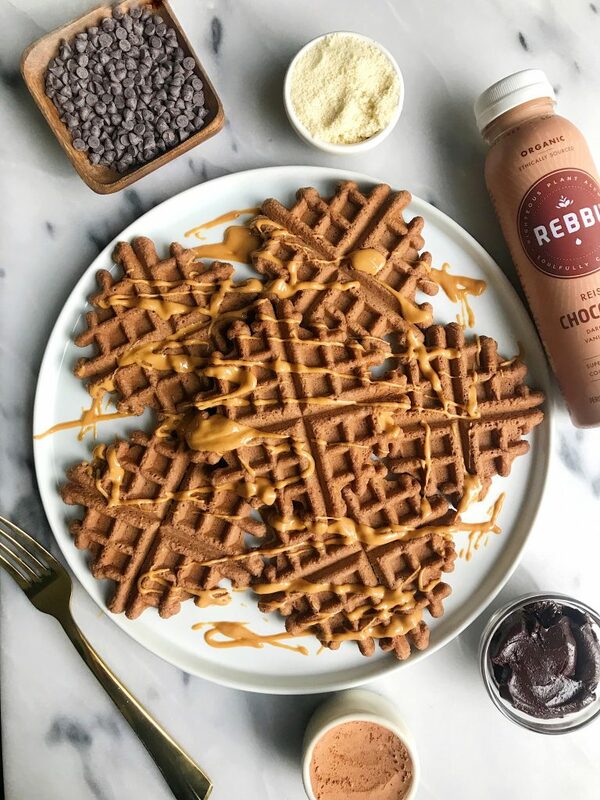 My favorite part of these waffles though is the addition of REBBL Reishi Chocolate. You guys know my love for REBBL runs deep. I recently shared the REBBL rainbow in my fridge with you on the blog and broke it down about how I found them, why I drink REBBL and the amazing cause behind the brand. REBBL is the type of product that you can pick up at the store and drink straight from the bottle (which is how I usually enjoy it). But I also love that you can use it just like you would any other nut-based milk. It is a delicious addition to smoothies, baking, anything! It adds the extra adaptogenic boost or protein boost depending on which flavor you use. I love making creations with the Reishi Chocolate because reishi isn’t something I personally use daily. I only have it in my favorite REBBL drinks, and I like that I am giving my body that extra love from reishi when I do. Reishi is known to support a healthy immune function, protect and detox the liver and help to promote healthy aging (sign me UP for that ha!). Reishi is also the most scientifically studied medicinal herb in the world. It is really a mushroom that has been called the “Divine Mushroom of Immorality” as my friends at REBBL have taught me. This is because of its almost endless list of healthy benefits. Before you make these waffles though, head over to my Instagram where we are GIVING AWAY cases of REBBL to a couple of lucky winners. Hope you guys love them!! Repeat for all the batter then enjoy waffles! Thank you REBBL for sponsoring this post. It means so much to me to work with brands that I love and who support rachLmansfield! Super mega GASP! These look insanely delicious! How much calories in one waffle? Oh my gosh! This look so freaking good! I’m new to your site and I’m loving all the recipes! This one will be made over this weekend, I’m sure my hubby will appreciate it! Previous Post Healthy Holiday Gift Ideas for Anyone in Your Life!